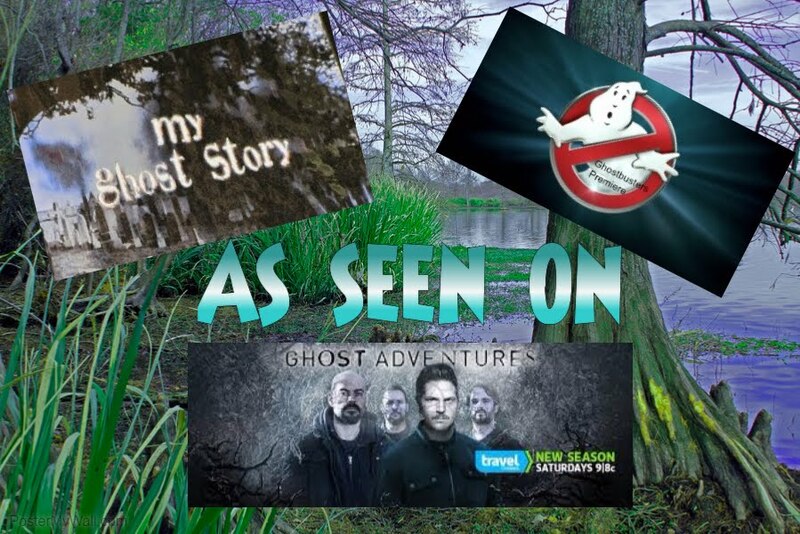 Becky Vickers(BECKS) - Everyday Ghost Hunters/Goatman's Bridge Ghost Tours: HAWAII- MORE THAN JUST BEAUTIFUL-HOW ABOUT REALLY HAUNTED!!! HAWAII- MORE THAN JUST BEAUTIFUL-HOW ABOUT REALLY HAUNTED!!! The vacation season is fast approaching and if you're like me, you are looking for haunted placed to go. Because in MY WORLD it isn't vacation until you go somewhere spooky with tales of ghost and all kinds of paranormal activity! Most people when they think of Hawaii....they think of the beautiful blue ocean with swaying palm trees outlining a white sandy beach with tons of people. Right? Well, there is no doubt that Hawaii is a place of beauty but what if it were haunted as well???? Wouldn't that be the perfect place for a vacation???? Check out these 10 locations that may just have you packing your bags for a beautiful beach resort and equipment! Pearl Harbor is probably one of the most significant World War II sites in the world and is located on the island of Oahu. 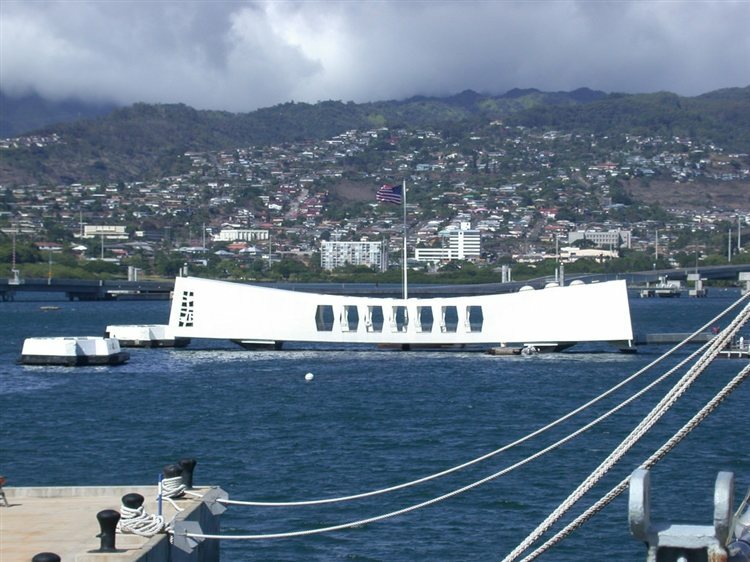 It is the headquarters of the United States Pacific Fleet and features the USS Arizona Memorial. The USS Arizona suffered the most casualties after the ammunition inside detonated causing it to explode. Those that visit the memorial have taken photos with misty human-like figures in them. 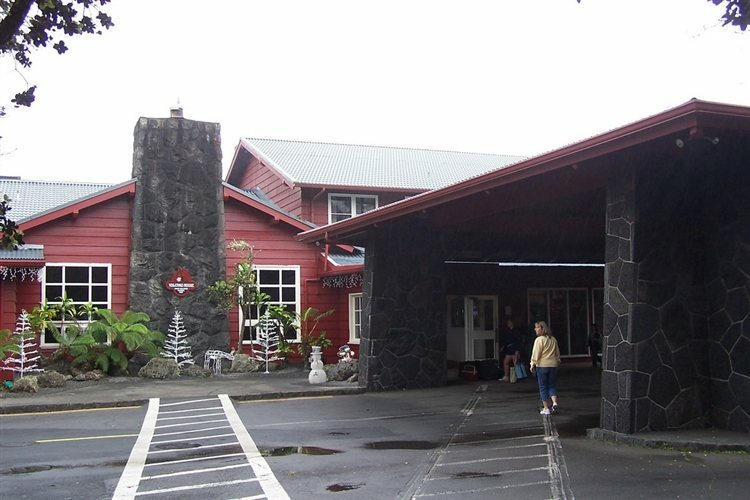 The iconic Volcano House Hotel overlooks Halema'uma'u Crater at the summit of Kilauea and is set inside a building that dates back to 1846. A former private residence, the location is said to be haunted by an elderly woman's apparition who has been seen in the halls and guest rooms. A ghostly white dog is also known to be spotted on the entrance road to the lodge. 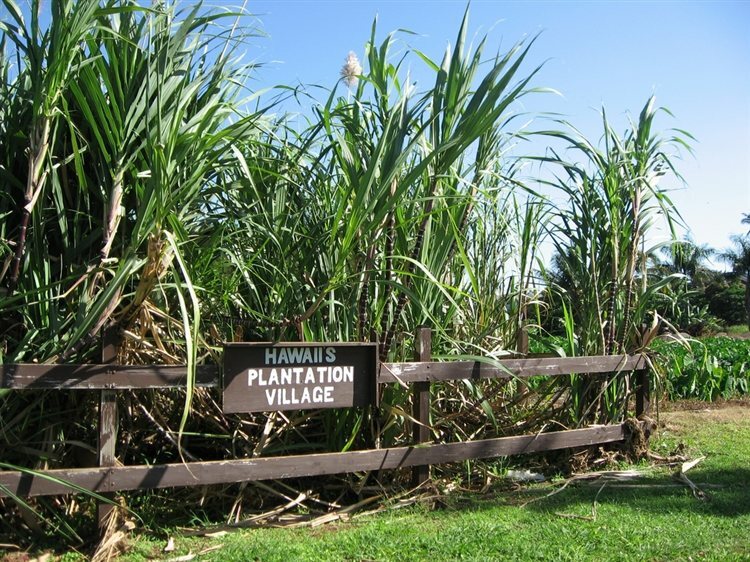 This tourist attraction in Waipahu gives visitors a tour of a re-created 1900s sugar plantation and features 25 buildings and homes. Witnesses have reported apparitions at the village, curtains that move on their own in the Portuguese home, pots and pans banging in the Japanese home, doors that unlock on their own in the Filipino Camp and the apparition of a woman in 1930s-style clothing. 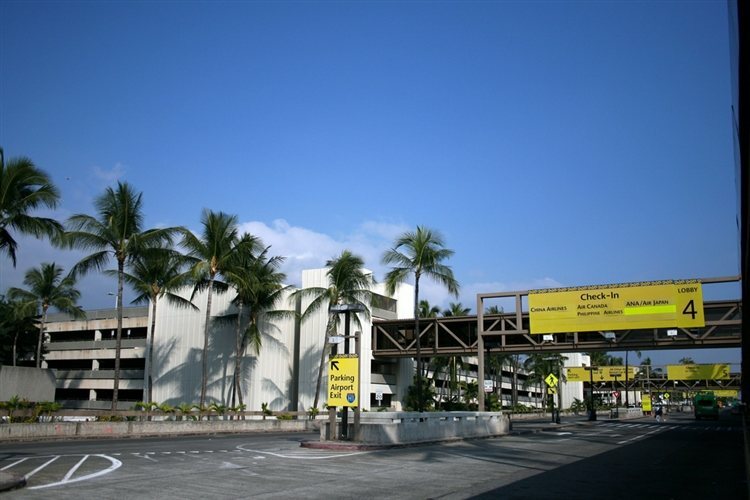 Local legend says the Honolulu Airport, also known as Daniel K. Inouye International Airport, is haunted by "the Lady in Waiting" who stands at the gate at night, peering out at the runway. She is a blonde woman in a white dress, and sometimes appears in secure areas where most people don't have clearance to go. Stories say she fell in love with a man who promised he would marry her, only to take off on an international flight and never return. She was heartbroken and committed suicide, and still waits for him to return. Other haunting reports at the airport include toilet paper rolls that unravel on their own, toilet seats that slam down, toilets that flush by themselves, a choking ghost who sits on people's chests to make them feel as though they are choking and on the Wiki-Wiki shuttle, a ghostly passenger appears in the back during the middle of the night. Parts of the Manoa Falls Trails were featured in Jurassic Park and TV's LOST, where it is believed to be haunted by spirits who inhabit the banyan trees. Also said to haunt the area are night marchers, ghosts of ancient Hawaiian warriors. Witnesses say they've heard their drumming at night. This Spanish Mission style theater opened its doors in 1928 and was originally both a movie and vaudeville house, until it fell into disrepair in the 1980s. It was added to the National Register of Historic Places in 1995 and has had a number of haunting reports. A misty apparition has been reported sitting in the seats around the theatre, as well as on the stage during closing hours. 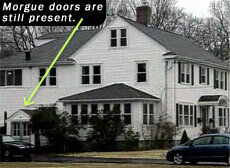 Many believe it is a female apparition, who has a friendly presence. 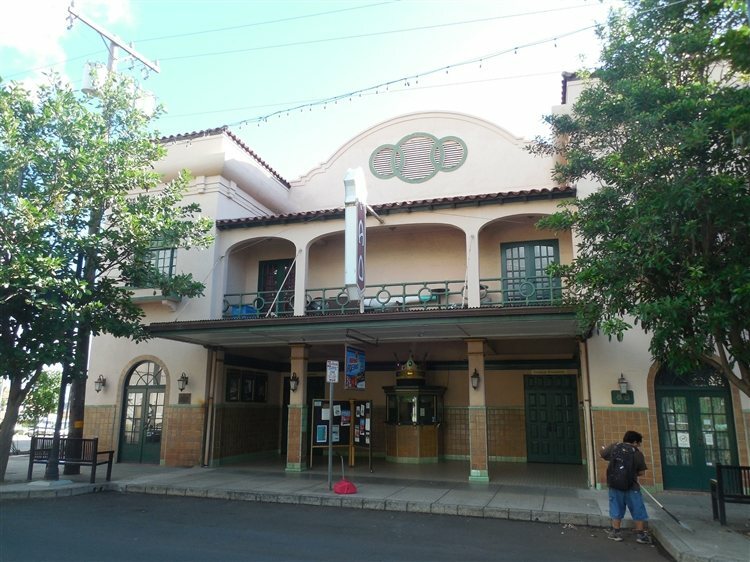 The other ghosts at the theater include that of Hawaiian soldiers and on the lower level of the theatre is where people have claimed to feel cold spots and see shadow figures. 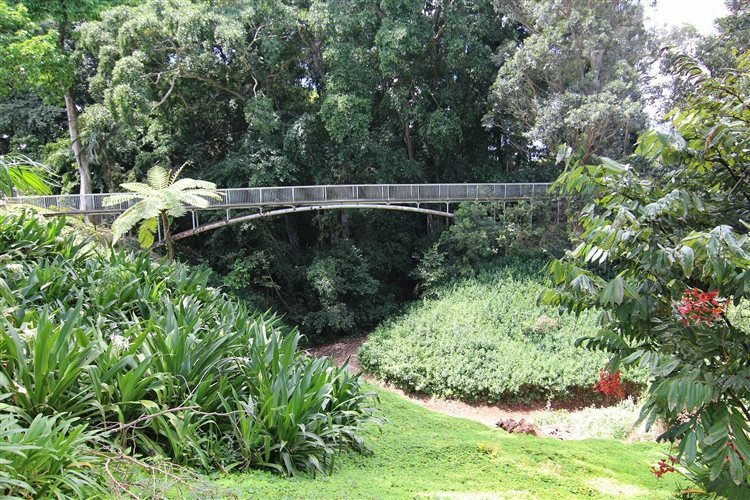 Located between the Wai'anae and Ko'olau mountain ranges, the Wahiawa Botanical Garden features 27 acres on a high plateau. 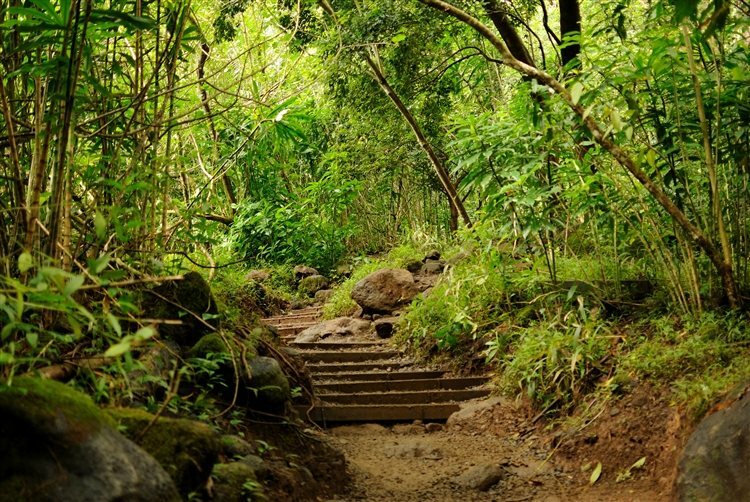 The area is said to be haunted by The Green Lady, who is also seen at Wahiawa Gulch. Stories say she was visiting with her children years ago, and when one got lost in the forest, she set out to look for her missing child. Although some versions of the story differ from others, she was said to have disappeared with her other children after wandering into the forest. She has been described as being green in appearance with fish-like scales and jagged teeth, hair covered in seaweed. The Green Lady is also said to come with a very bad smell, like rotting plant matter. 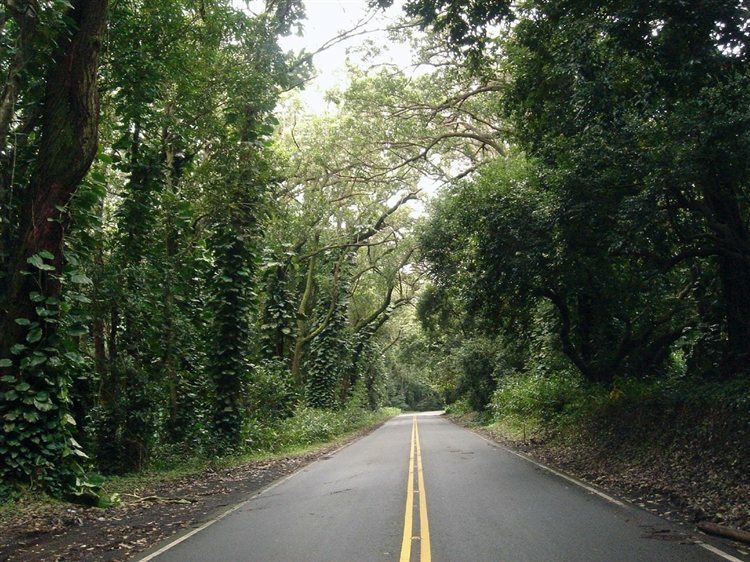 There are several ghost stories and legend surrounding this highway, including the story that says Pele and the demigod Kampaua'a - a half man, half pig, and a bad breakup and agreed to never see each other again. Legend says that you cannot take pork over the Pali Highway, because it means that you are symbolically taking Kamapua'a from one side to the other. For those who try to bring pork across, supposedly your car will stop at some point along the way, and an old woman with a dog will appear. In order to continue on your journey, you must feed the pork to the dog. 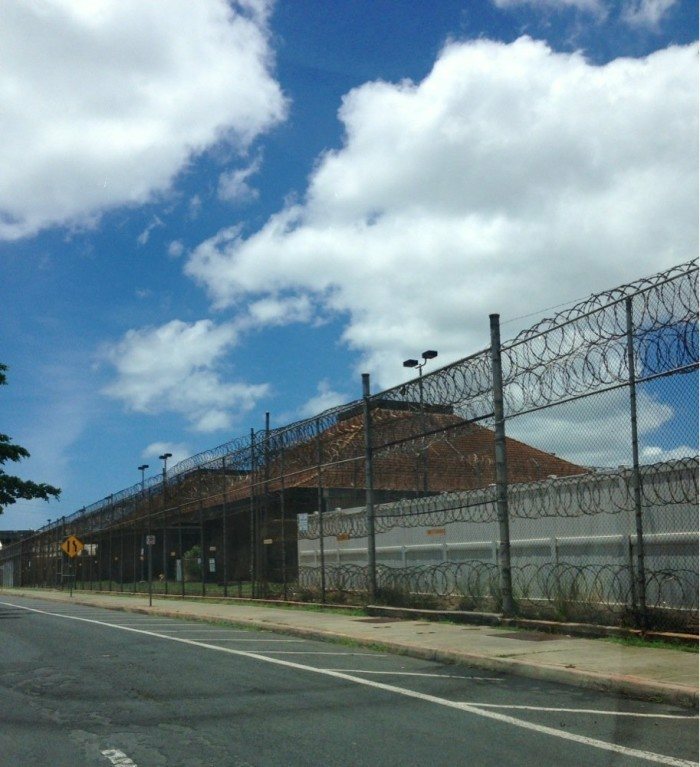 Located on Kamehameha Highway in Honolulu, the Oahu Community Correctional Facility is the largest jail in the State of Hawaii. Situated on 16 acres, the prison is on the site of the former Oahu Prison. The gallows, where 47 men were hanged, was converted into an office and guards say they have difficulty sleeping in the squad rooms, which is located right next to the execution chamber. Prisoners have also reported hearing cell doors rattle on their own. Located in historic Kailuna-Kona, the Hulihee Place was a former vacation home of Hawaiian royalty, and was transformed into a museum that showcases artifacts and furniture. 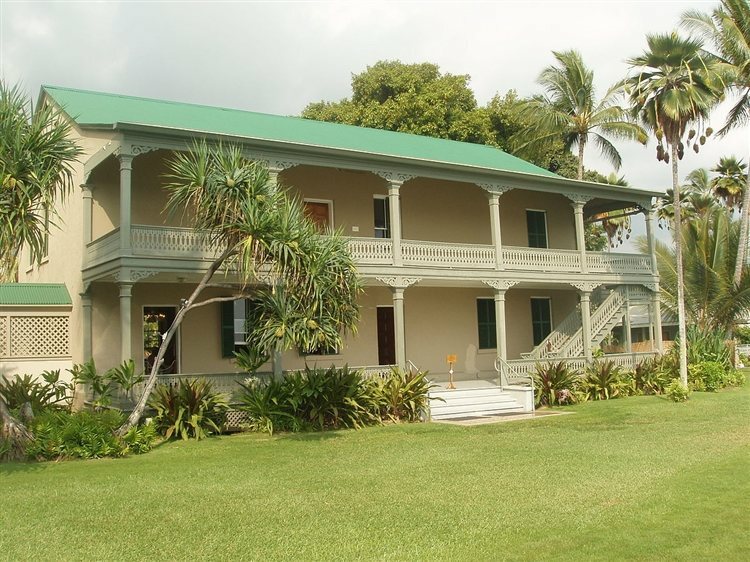 It dates back to 1838 and is said to be haunted by Hawaiian monarchs and the ghost of a young boy. Just a little video of a news cast from last October about a few of the haunted locations you can visit.